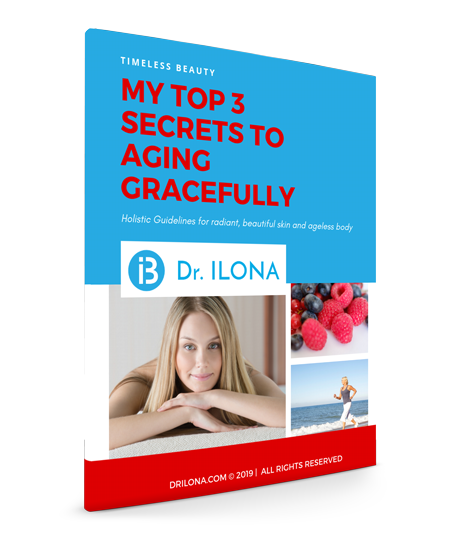 Learn my top 3 SECRETS TO AGING GRACEFULLY. Holistic Guidelines for radiant, beautiful skin, and ageless beauty. Enter your name and email and access your ebook immediately! WAIT! There is one more step! Please click "confirm" in the email from Dr. Ilona and you will receive a welcome email with the link to your eBook for instant access!